By mayboro, July 20, 2017 in Join the NADC! Have you been invited to this alliance? : No. Are you currently at war? : No. What other alliances have you been in? Do you understand that NADC members and applicants are not allowed to declare war without authorization and do you agree to abide by this rule? Yes. 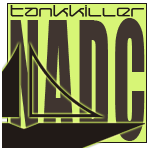 Welcome to the NADC! Where are you from in Germany? You should post in the member intro area!